An Uduaghan loyalist and former member of the Delta House of Assembly, Hon Godwin Abigor, said “some people just speak from one side without looking at the other. Is it not Uduaghan that appointed Okowa as Secretary to the State Government, SSG, when he was governor? Is not the same Uduaghan that asked him to go the Senate and told former President Goodluck Jonathan when he told him about Mrs. Mariam Ali that he was already committed to Okowa? Was Okowa there when he sealed the deal for him? After President Buhari won there were fears of bandwagon effect. Who put in extra effort to make sure Okowa did not have problem? “In party politics, people are free to support the aspirants of their choice during the primary, but after the primary, you collapse every other structure and work to deliver the party’s candidate. That was what happened in 2015. Did Uduaghan not collapse every other structure to deliver Okowa in 2015, why is he persecuting him and his supporters? Let me tell you, Uduaghan’s allowances were not paid for over three years, he could not have a voice or pick the chairman in his own local government area, Warri North. Just to sidetrack Uduaghan, in the last National Convention of PDP, which Okowa was the Chairman of the Planning Committee, he said former governors would not be automatic delegates and that was what happened. Yet, former speakers, former deputy speakers were automatic delegates. Uduaghan did not take part in that convention because he was not made a delegate by Okowa. It was not Uduaghan that left PDP by himself, Okowa systematically removed him from the party, and he does not have any influence over the constitution of the party executive, both in his local government and state level. So somebody that has been sidelined, relegated and stopped from taking his position as a leader in the state, what do you expect from him,” he said. No emotion, it is Itekiri turn Hon Abigor asserted that those applying sentiment on the issue of Senator Manager and Delta South senatorial ticket were being myopic, as the senatorial district comprises three ethnic tribes, Isoko, Itsekiri and Ijaw, whose political leaders agreed on rotation of the senatorial seat. In his words, "the arrangement among the leaders of the three tribes is that they will take turns in going to the Senate. Senator Stella Omu was there in the first tenure of Obasanjo and after her, the Itsekiri and Ijaw gathered together and said Isoko had taken their turn, let it go to Ijaw and that was how Senator Manager was massively supported by the three ethnic groups. 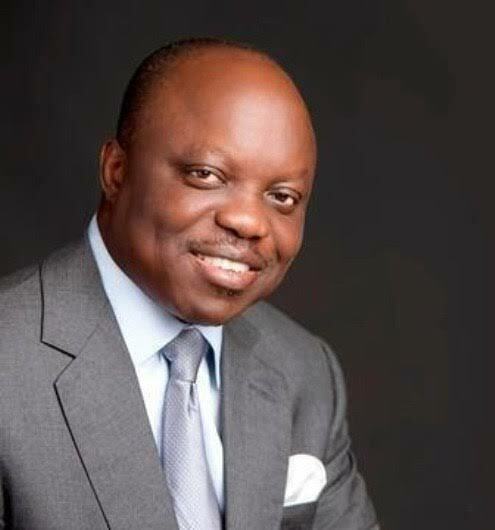 After eight years, another Isoko man even wanted to go, Uduaghan was governor then, and he still supported Manager against Chief Solomon Ogba from Isoko. Now it became the turn of the Itsekiri tribe, in 2015. Uduaghan was to go, but there was this massive defection from PDP and it was clear that APC had gained a lot of grounds. He said he would forgo his interest and face the bigger challenge of how to deliver the party at the national level. After the primary, he supported Okowa, he supported Manager and both of them won. After 16 years of Senator Manager holding to a position that is supposed to be rotated among three tribes, it is obviously the turn of Itsekiri, so why should people be applying sentiment in saying that Manager can go for another four years? Are we saying that Ijaw should hold it for 20 years? That is the issue,” he said.